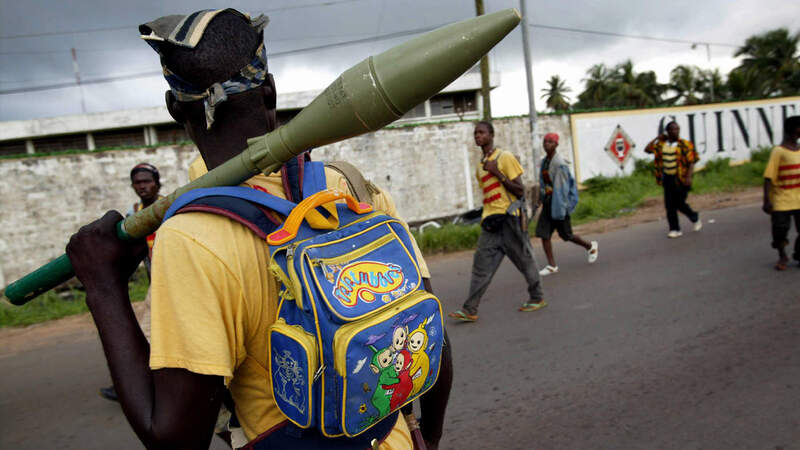 Join the Bronx Documentary Center for a special presentation by Michael Kamber of his time working in Liberia where he photographed side-by-side with Chris Hondros and across the front lines from Tim Hetherington. Kamber will present work he made in Liberia in 2003, much of it previously unseen. He will discuss the challenges and issues he faced while documenting this deadly conflict. Michael Kamber covered the Liberian Civil War in 2003 for The New York Times West Africa bureau. This event is held in conjunction with our exhibition War and Peace in Liberia: Tim Hetherington and Chris Hondros on view at the BDC from Oct 26 - Dec 16, 2018. MICHAEL KAMBER has worked as a journalist for more than 25 years. Between 2002 and 2012, he worked for The New York Times, covering conflicts in Iraq, Afghanistan, Liberia, the Sudan, Somalia, the Congo, and other countries. He was the first person in New York Times' history to routinely file photos, videos and written articles to the paper. His photographs have also been published in nearly every major news magazine in the United States and Europe, as well as in many newspapers. In 2011, Kamber founded the Bronx Documentary Center, an educational space dedicated to positive social change through photography and film. Kamber is an adjunct professor at Columbia University. He is the winner of a World Press Photo award, the Mike Berger Award, the Society of Professional Journalists Deadline Club Award, American Photo Images of the Year, and is a member of The New York Times team that won a 2003 Overseas Press Club award. The New York Times twice nominated Kamber’s work for the Pulitzer Prize. Our venue is on the ground floor and is wheelchair accessible. The bathroom is non gender-segregated.